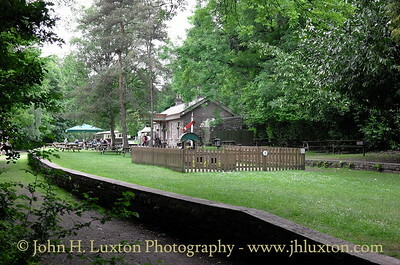 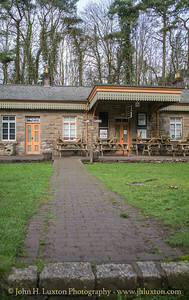 The former GWR Tintern Station has operated as a tourist visitor centre for many years in the attractive Wye Valley of South Wales. 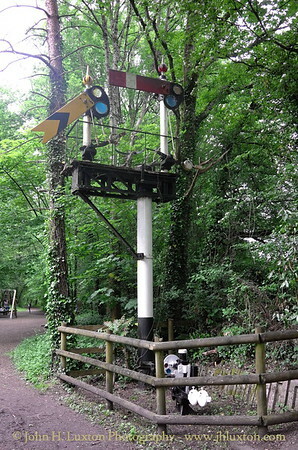 Tintern station opened in 1876 and closed for passengers in 1959 and freight in 1964, when the line was closed completely. 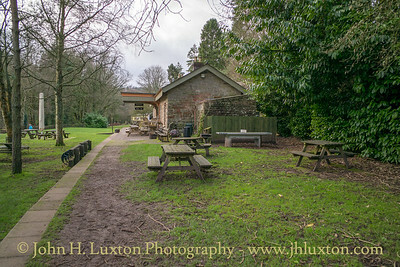 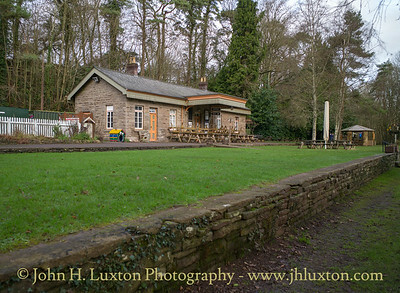 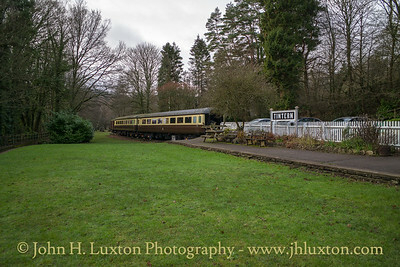 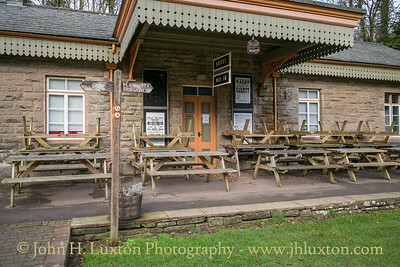 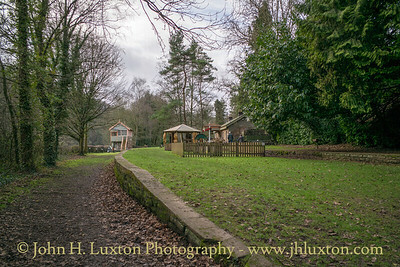 Tintern Railway Station visitor centre photographed in December during the winter closed period. 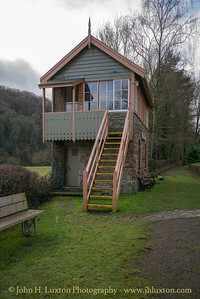 Tintern Signal Box Tintern Railway Station visitor centre photographed in December during the winter closed period. 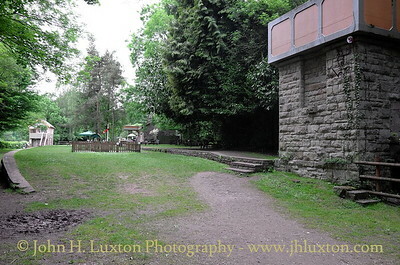 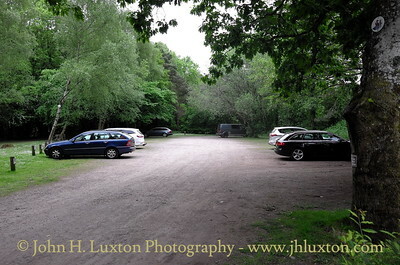 View of the station site from the Monmouth end. 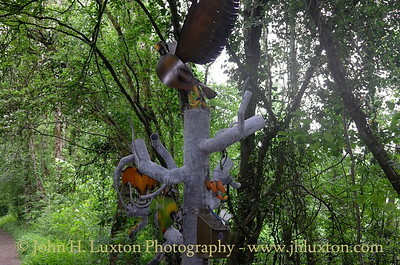 Sculpture on the trackbed just north of Tintern Station. 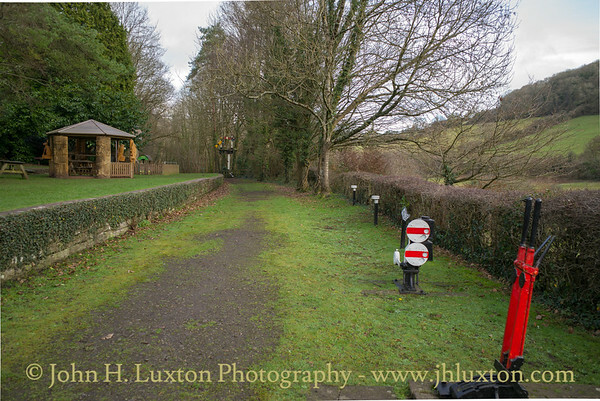 View towards Tintern Station. 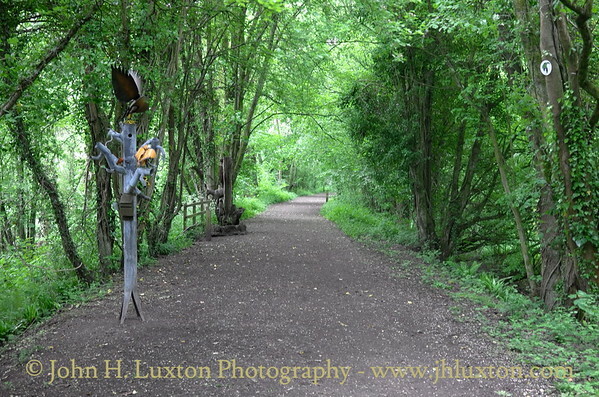 Sculpture on the trackbed just north of Tintern Station. 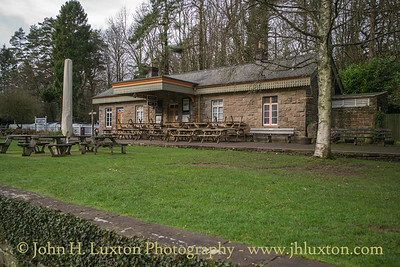 View of the station site from the Monmouth end of the station. 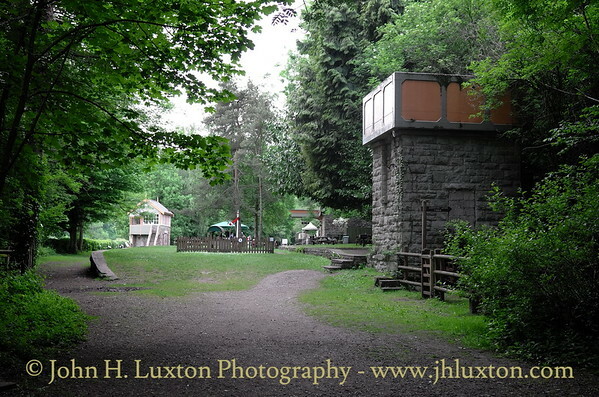 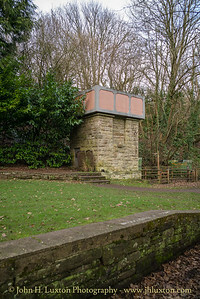 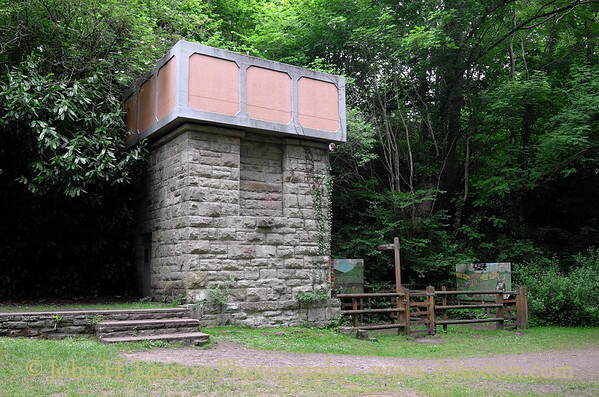 Water tower at Tintern Station located at the Monmouth end of the station. 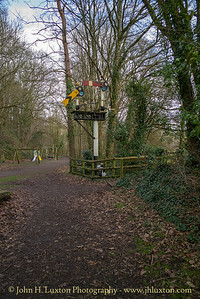 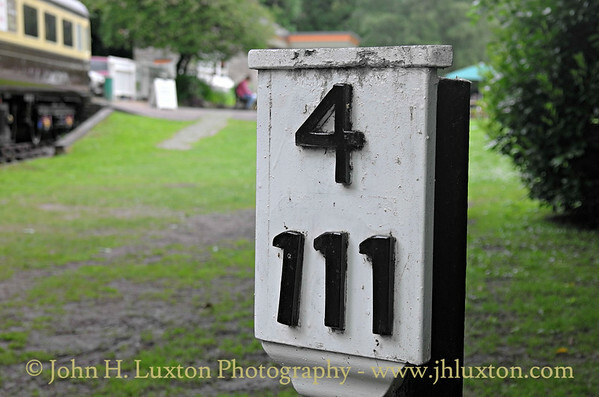 Mile post 4 / III at Tintern station. 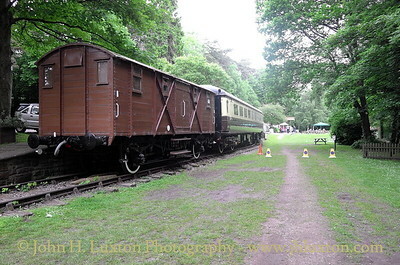 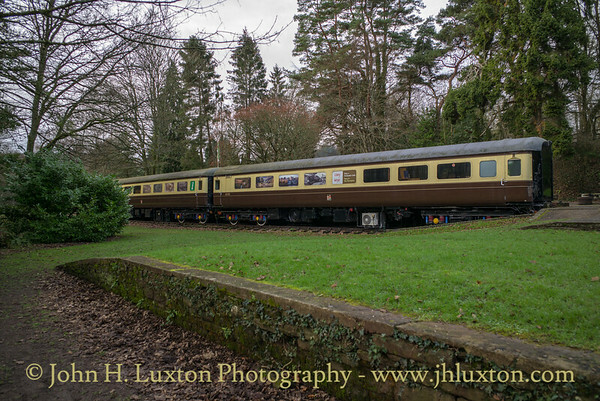 Rolling stock at Tintern Station. 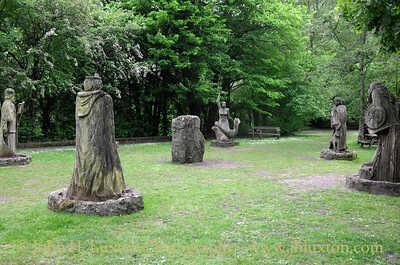 Wooden "Circle of Legends" sculptures featuring characters from Celtic Mythology were erected between 2003-4 on the track bed near the former goods yard. 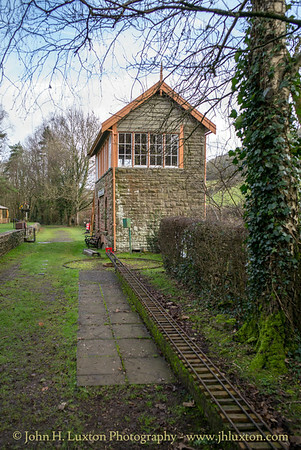 The former goods yard at Tintern Station.